UK Radio Scanning Forum • View topic - Radios on my shack desk. Radios on my shack desk. 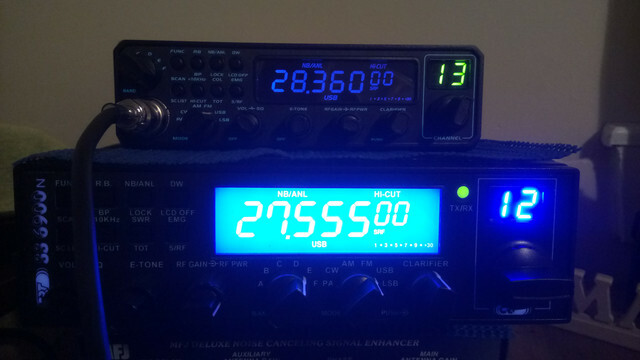 Here's some photos of two of my radios, a 11m and 10m transceiver. Re: Radios on my shack desk. Initially, I would have preferred an orange display Anytone, but I've grown to like the CRT 6900n blue display. Blue is the latest health scare - believe it or not blue LED is the spawn of the devil and is blinding us, and there is a movement to get blue LED banned. Too vivid and damages the eyes, because your eyes are not good with that wavelength, the irises open, they eyes try to focus it and it damages our eyes. I reserve the right to disregard this one. 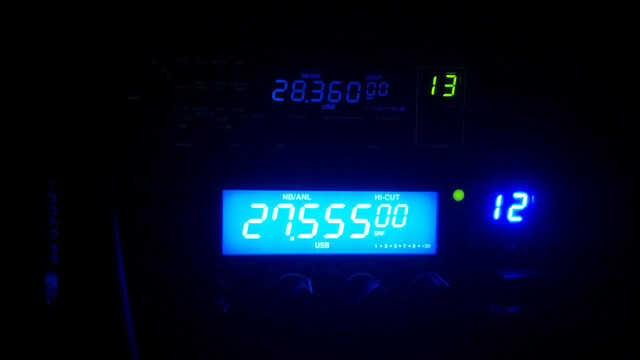 Some of the CB's with a blue background and black LCD display are difficult for me to read, like the Tti 881, etc. To me, the best or most easily readable displays have a yellowish or orange background with black LCD digits. The blue they emit is rather a short wavelength that our eyes have trouble focussing - hence why it's difficult to read. The danger is because of the 'over exposure' possible - but nobody gets worried about UV light as long as it isn't welding arc brightness! I see your point, low levels over a long time verses high levels over a short time. The affects are accumulative, I guess. At the moment, the biggest problem in my shack is the dreaded plasma TV QRM from the neighbours, extremely noisy SMPS again from the neighbours and some PLT/PLA on the BC SW bands (including 11m).